Living Plane ME3 card picture crop ended up blurry. Corrected and uploaded. Seems that I missed that one while cropping. Primitive Justice has the gold border issue. Also it looks like some of the tokens are missing from the sets: the Graveborn, Saproling, and Soldier from ME2, and the Djinn, Goblin, and Tetravite from ME4. I'll have this fixed shortly. Primitive Justice fixed, listed tokens created. All uploaded. This is excellent work, Kudos! 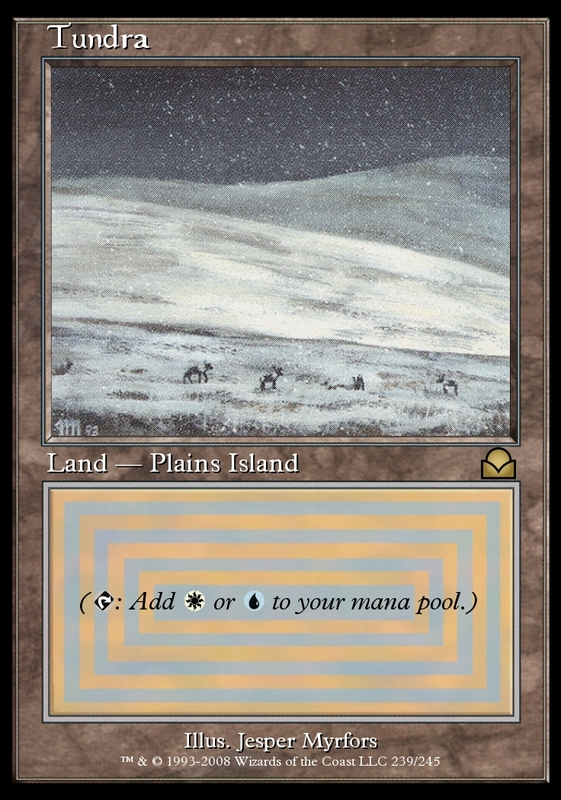 Edit: ME2, 3, 4, dual lands have some border issues. Testing a new frame for the dual lands. Samples attached. The fourth off color band in the text box should be right at the border. Other than that, great. 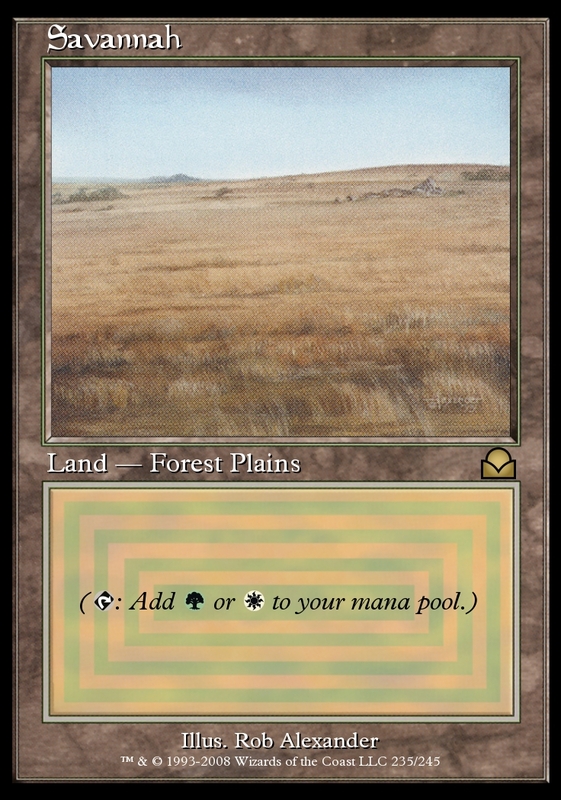 I've rendered all the dual lands on the new frames and replaced them in the mega folders. The artwork for Phyrexian Altar is low quality. I didn't download everything, so please give the artwork a quick scan on your end. 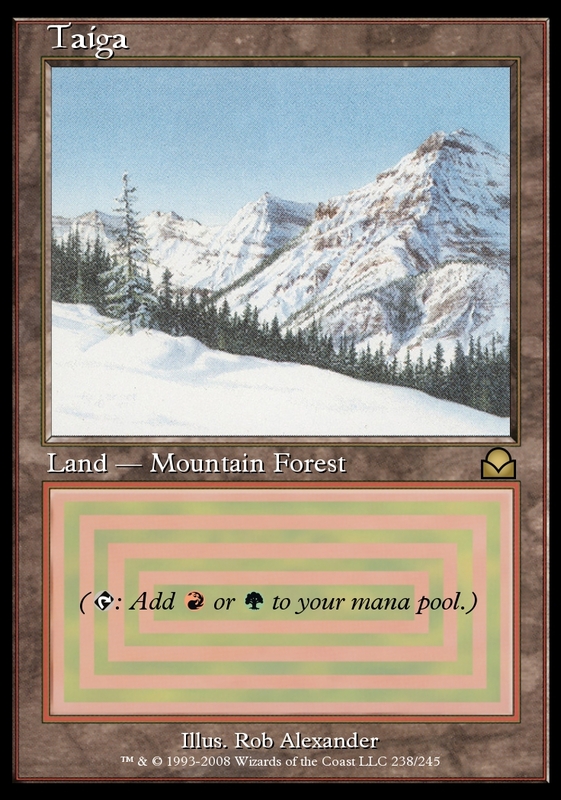 Secondly, I think we should honor the original release of the cards by using the nearest "printed" card text. For example, Grand Architect had back then. I'm already doing this with the Common Symbol. Since the set was released, they added a white border to it. But I created the symbols from assets that I had years ago. Phyrexian Plaguelord and Platinum Angel are Mythic Rare in the current MTGO database. I'm not sure if they were originally? I had the mythic symbol saved from the original release, so I'm guessing they probably were. 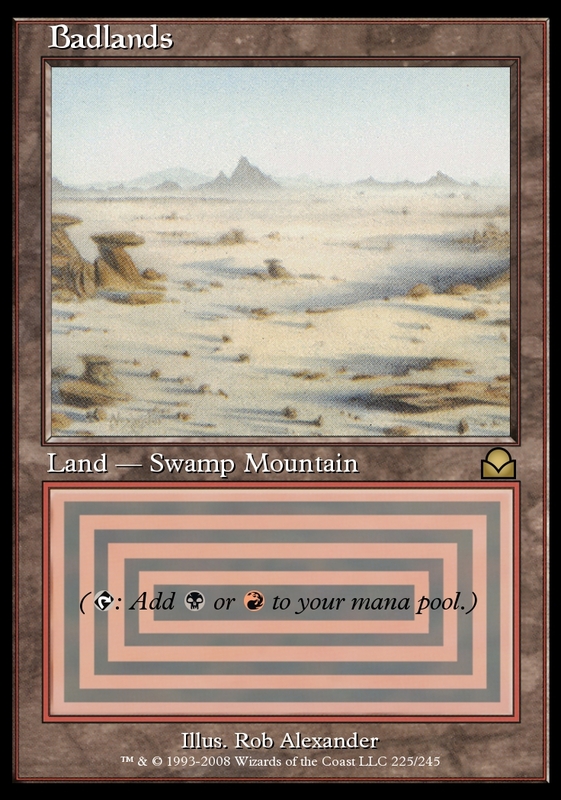 Lastly, I can't seem to view the basic lands using MTGO. How did you confirm their artwork? Edit: Can you include all these MTGO exclusive sets and decks in your HQCG releases? I used medium quality images for this pass as a test, I'll put 300+ dpi images when I do the final render. I plan on retrofitting the text to the 2011 release text soon, this was mostly a proof of concept. Those were the only two Mythic Rare in the set according to Wizards. 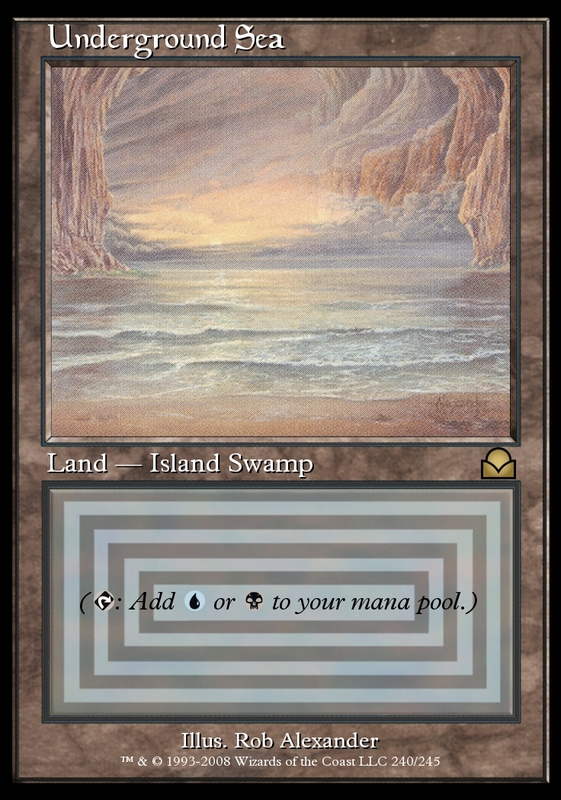 The basic lands are on MTGO Traders site. I used the same artwork as they had. MTGO Traders doesn't have the TD0 (Boltslinger, Exiler, Deathdancer Xira, and Enchantress Rubina) lands art, so I am still trying to find which ones they are. I will be including these sets with oracle text in HQCG. I'll post the 'original text' files in a thread in the HQCG portion.